Roses are the most beautiful flowers in the world and one of the most popular as well. Roses are given as gifts as a symbol of love and beauty. They are so beautiful because they require such a special care that makes them bloom bold and jaw-dropping colours. What most people don’t know is that there are many different types and styles of roses which make them the truly unique flower that they are. They are separated into different groups and styles but are all equally stunning. Roses are traditionally divided into three different groups: Species, old garden, and modern roses. Species (wild) roses are very large and grow much like shrubs with flowers that only bloom in early summer or late spring. Old garden roses are some of the most common roses that we see today such as Alba, Bourbon, and Centifolia. Modern roses come in types such as Climbing and Hybrid Tea. 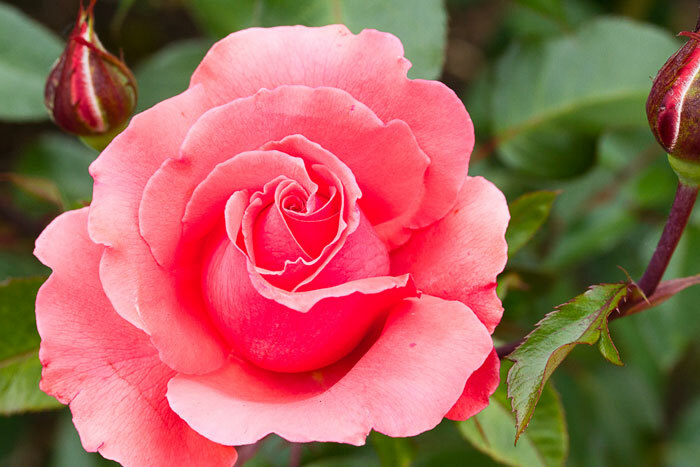 The American Rose Society notes that there are currently 37 different classes of roses. I won’t list them all, but here are some of the most common roses you see when you shop online for Roses and in the flower store. 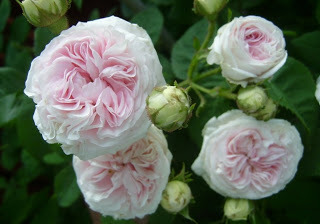 The Alba rose is an old garden rose and according to experts, may have been around as early as the first century. This type of rose is a cross between Rosa demascena and Rosa canina. 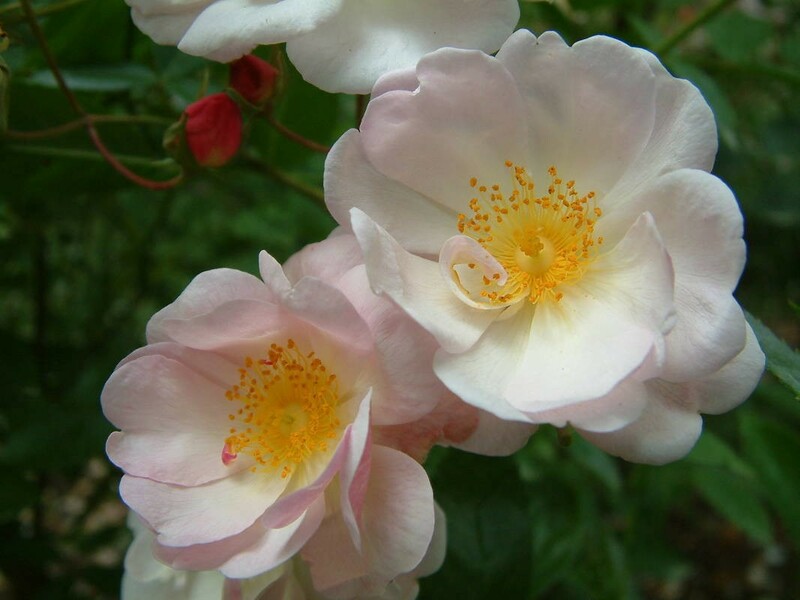 These roses are typically white or light pink in colour with greyish-green foliage. They tend to bloom in the early summer months and can prosper even in the shade. David Austin who is an English breeder of roses, introduced this rose in 1960 and since then has developed a large collection of different modern roses that have the appearance of old European roses except these will bloom repeatedly. 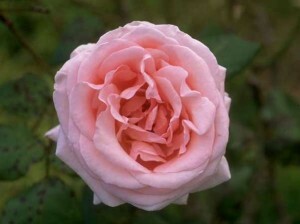 David Austin’s roses are typically called English roses but they are most widely known as Austin roses. The collection is very large and are divided into two sub groups: English Musk Hybrids and English Alba Hybrids. Austin roses are typically the hardest to grow and maintain but definitely the most beautiful. Centifolia is an old garden rose that has 100 or more petals on each flower. They are sometimes referred to as the “cabbage rose” because it has a lot of petals and looks much like a head of cabbage. These particular roses were bread in the 17th-19th centuries by Dutch hybridizers. They have a beautiful scent to them and come in various shades of pink and white. They can grow in the cold but they do not favour well in humid conditions. They do grow to be fairly large so they may need added support if you choose to grow them. They only bloom once and that is early on in the summer. You will see a lot of this type of rose if you visit France. 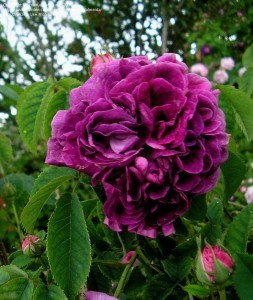 Gallica is an old garden rose that is sometimes called the “French roses” and they date back to the early 12th century. Gallica roses are extremely fragrant and only bloom once. They can form a thick shrub that can get upwards to five feet tall. They grow in various shades ranging from light to dark pink. Sometimes they even grow a dark wine colour or even in the form of stripes. 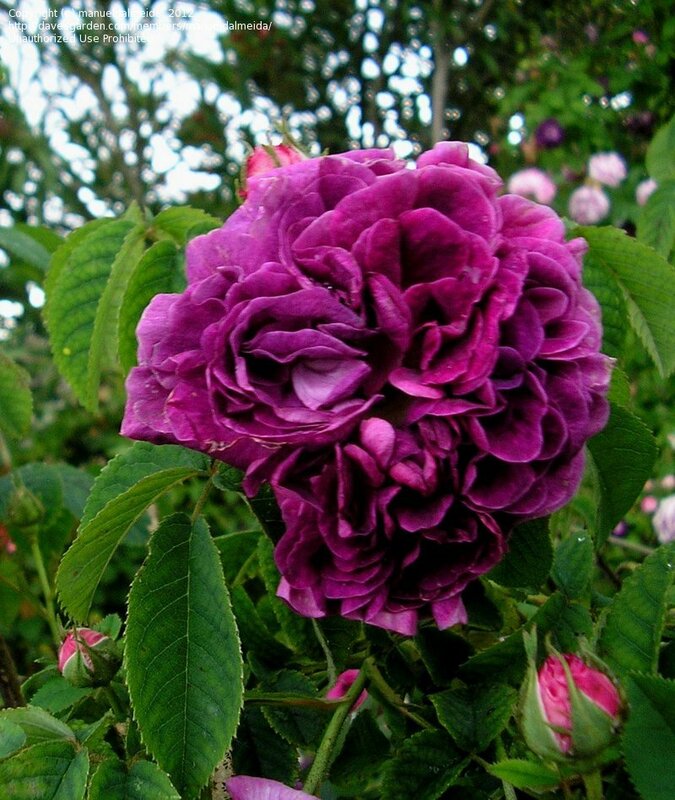 Gallica roses can grow in the shade and even cold winters. They bloom very small and typically form on bushes. 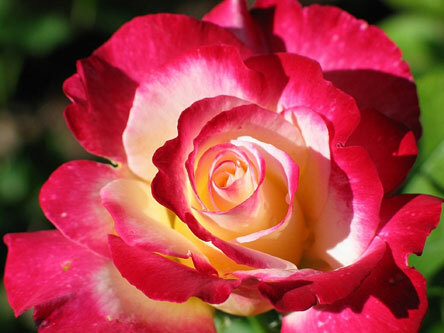 A hybrid tea rose is a combination of the Tea rose and the Hybrid Perpetual rose. 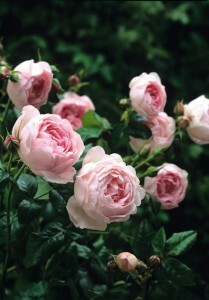 These types of roses were first discovered in 1867 and look like a cross between modern and old garden roses. They come in a variety of different colours which are often times diverse. They can be pink, white, or even purple. The blooms can pop up repeatedly and make a lovely addition to any rose garden. This type of rose has been around for many centuries and was first spotted somewhere in the Middle East. It can sometimes be a shrub or a climber that has 5 petals and is white. They smell a bit like musk which is where they get their name. It is a light and sweet smell, however, that is not too strong. Musks and their hybrids to not favour well in the winter but will bloom multiple times. The Portland rose is an old garden rose that has been around for more than 200 years. After the duchess of Portland discovered this beautiful rose, it has been named after her ever since. These flowers originated in Italy and are much smaller than standard roses. They have short blossoms and stems and sit in the bush as opposed to standing. They will bloom every fall and are considered to be the parents of Hybrid Perpetual roses. 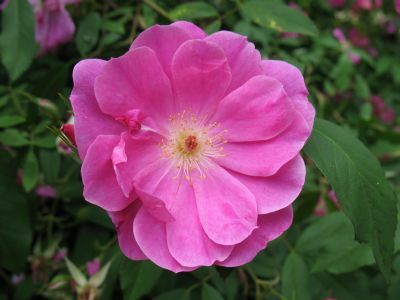 The swamp rose originated in the eastern United States and has one petal that is pink on thorny, arching, canes. 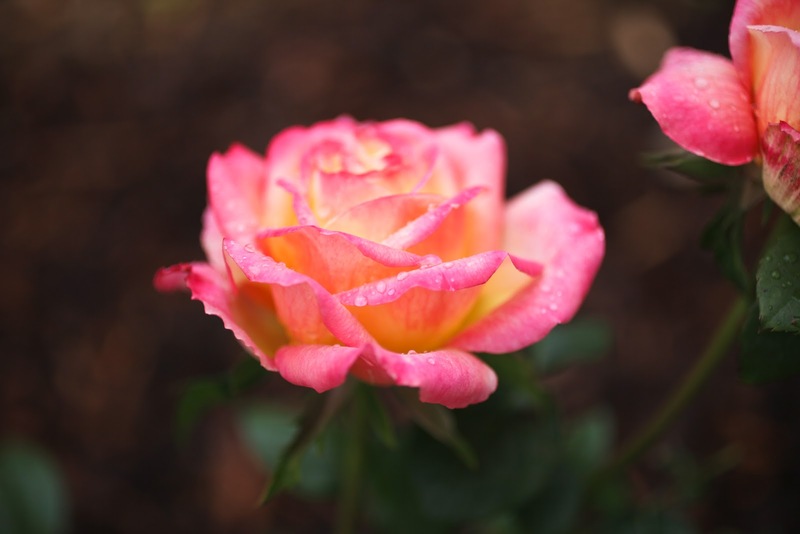 These roses are typically found in swamp regions and thrive in acidic moist soil. Not much is known about this type of rose, but many experts would like to see this rose bred with other types of roses. They do not require much sunlight and you will find them thriving near marsh lands. The tea rose is an old garden rose that is a cross between a china rose and a Rosa gigantea. They do not thrive well in the cold but they can turn into delicately beautiful roses especially when they are bred with other roses. They are typically pink but sometimes have apricot and yellow hues in them. Even though roses are typically thought of one of the best and most beautiful flowers in the world, there are so many of them to choose from that many people often forget about them. There are endless combinations of roses because of the ability to cross-breed. They are all beautiful and have the ability to say a lot without having to say a single word.